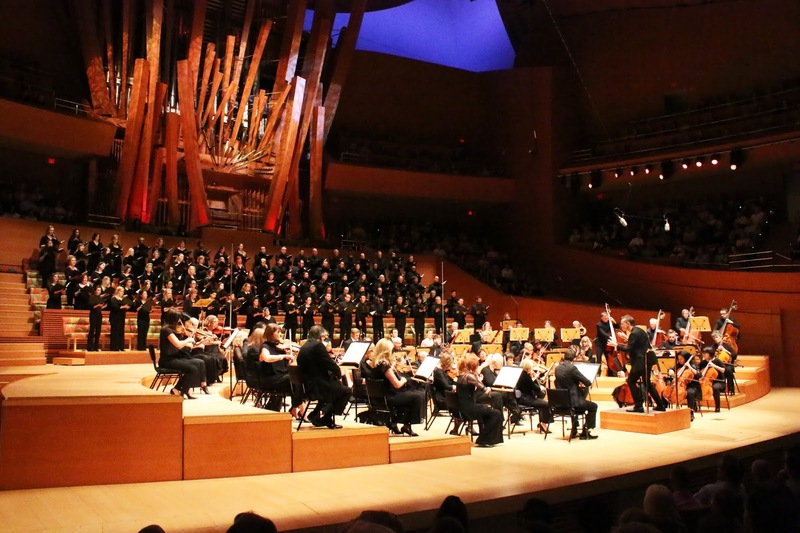 With all of the hoopla surrounding the opening of the Los Angeles Philharmonic’s 100th Season this past week, it might have been easy to miss word of the first show of the Los Angeles Master Chorale’s 2018/2019 season last Sunday. That would be a shame because there was much to love about these sold-out performances, which came at the front end of the LAMC’s world tour of Orlando Di Lasso’s Lagrime di San Pietro in a Peter Sellars staging currently visiting locations in Australia and Latin America. 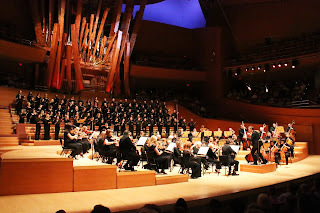 Even though these are very exciting times for the LAMC, the season opener was entirely different material featuring a new version of Shawn Kirchner’s 2015 Songs of Ascent and Mozart’s incomplete Requiem in D Minor. The Kirchner piece (not to be confused with Meredith Monk’s 2011 Songs of Ascension) draws on text from Psalms 120-134. Kirchner felt the original version wasn’t quite as fleshed out as he’d hoped, and the version here was expanded. It is a pretty work with an admirable theme of love overcoming conflict. However, it can also seem superficial at times, missing a certain weight or drama. Soloists Adbiel Gonzalez and Robert Norman were well-suited to their parts though the evening’s drama would need to wait until after the intermission. And that drama did arrive with a wonderful performance of Mozart’s Requiem. The LAMC brought in an excellent team of soloists including J’Nai Bridges, Liv Redpath, David Portillo and Rod Gilfry. Gershon dug in with his vocalists and orchestra, feeling comfortable and well-rehearsed with the material. The easy certainty gave the proceedings a real sense of awe of the unknown in the face of the biggest human certainty – death. By turns dark and weighty and at others soaring and light, it was a top-tier Mozart performance. The crowd responded with great enthusiasm, which must have been a heartening send off for the group on their tour.